We can provide and upgrade your current PC with more memory, new DVD-RW drives, bigger faster hard drives, faster video cards, or any other upgrade you need. Like many small and medium-sized businesses, you might be unsure about how to upgrade or to replace your existing laptops, desktops, or servers. Your PC may simply need a memory upgrade! We can provide and upgrade your current PC with more memory, new dvd-rw drives, bigger faster hard drives, faster video cards, or any other upgrade you need. Today’s computer systems come in all sizes and are designed to fit businesses of any size. Prices have dropped drastically and computer speeds have racked up exponentially. This is why it is important to find the right bang for your buck. As one of the partners of the leading PC manufacturers likes HP, Lenovo, and DELL, we can find you the right hardware for the right price. There are many factors involved in PC buying other than price itself. Have you considered the following when you are purchasing your PC? Memory. The minimum memory requirements to run your software is something you should always check when purchasing a new system. Operating system. Home, Home Premium, Business, or Professional? 32-bit or 64-bit Operating system? Did you know that some of your programs will only run on a 32-bit operating system? Hard Drive. Choosing between a 500Gb and a 1TB hard drive may be easy but does your workstation really need all that much hard drive space if you are saving most of your data on a server? Have you considered a SSD (Solid-State Drive) instead of the traditional hard drive? 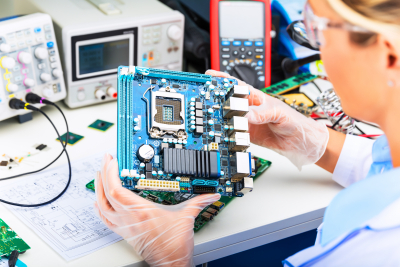 Either way, We can assist you in determining the right hardware from the right vendor for your business or by custom building one that meets your requirements. Call us today and we will help you configure one!